Having heard on the grape vine that Freedom Pizza had changed their pizza base supplier and expanded their gluten free dessert range I was keen to meet Marianne the Head Chef and find out exactly how Freedom Pizza were evolving. The Marina Restaurant is one of 5 branches in Dubai and it has a picture perfect view over Dubai’s Marina. Marianne has been working for Freedom Pizza since its conception in early 2015. Freedom pizza has introduced a great new online ordering system where you can select your preferences, e.g. if you choose Gluten Free you will then only be able to select pizzas, sauces, toppings, sides and desserts that are Gluten Free. All other menu items will be shaded. In addition to this you can make your own Gluten Free Pizza and save it as your favourite so next time you order you can click on your favourite and have it delivered within 30min. 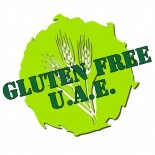 As well as delivering across Dubai you can now order a Gluten Free pizza at VOX Cinema in Mall of the emirates! The cinema offers to host children’s birthdays in the party room where there is now an option to have gluten free pizza served with vegetable crudités and a drink. And if all this sounds too good to be true, the residents of Abu Dhabi are going to be pleased…this month Freedom Pizza will be opening a branch near the Cornish in Abu Dhabi with another following in Yas VOX Cinema. Freedom pizza is available to cater for parties, events and fairs. This entry was posted on 11/01/2016 by wendyallcorn in Uncategorized.